Bernardo Bellotto – National Gallery of Ireland NGI.181. Title: Dresden from the Right Bank of the Elbe, above the Augustus Bridge. Date: c. 1750. Materials: oil on canvas. Dimensions: 51.5 x 84 cm. Acquisition date: 1883. Nr. : NGI.181. 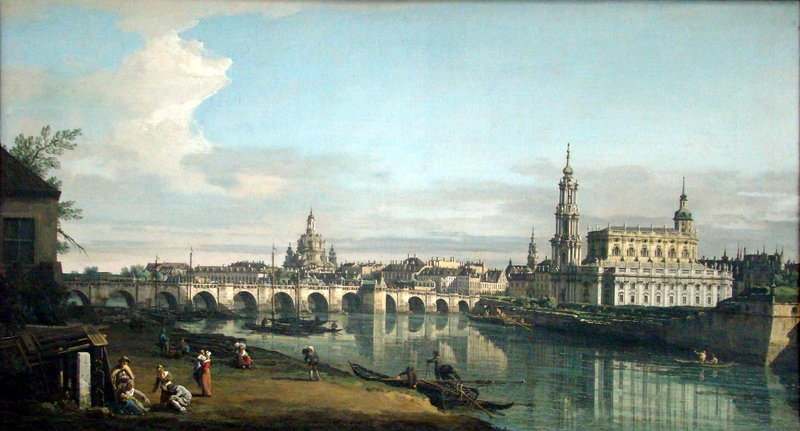 Source: https://commons.wikimedia.org/wiki/File:Bernardo_Bellotto,_il_Canaletto_-_Dresden_vom_rechten_Elbufer_mit_der_Augustusbr%C3%BCcke_(National_Gallery_of_Ireland).jpg. I have changed the light and colors of the original photo. Materials: oil on canvas. Dimensions: 51.5 x 84 cm. Acquisition date: 1883. Nr. : NGI.182. 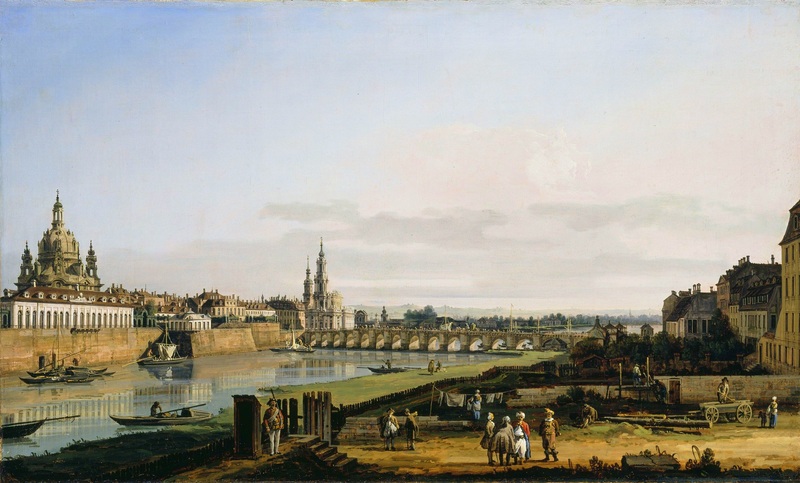 Source: http://www.wikipaintings.org/en/bernardo-bellotto/view-of-dresden-from-the-right-bank-of-the-elbe-with-augustus-bridge#close. I have changed the light, contrast and colors of the original photo. Around 1650, Van Ruisdael travelled to Westphalia, where Castle Bentheim is located. Having made drawings on the spot, he painted the fortress some fourteen times after his return home. This picture is regarded as the finest and most ambitious of Van Ruisdael’s depictions of the castle, and one of the masterpieces of his oeuvre. In Van Ruisdael’s painting humanity is always secondary to the power of nature. In The Castle of Bentheim the figures are barely visible. By exaggerating the elevation of the hill, Van Ruisdael made the fortress look more impressive than it is in reality. Modern interpreters have suggested that it symbolises the eternal city on Mount Zion (http://onlinecollection.nationalgallery.ie/view/objects/asitem/People$00402291/3/sortNumber-asc?t:state:flow=39e37b8d-75cb-430e-ac99-b4d816c3df1e).